Now, it’s likely you believe in Father Christmas more than the idea that people search for a new home over the festive period, but contrary to popular belief, millions of prospective purchasers do! 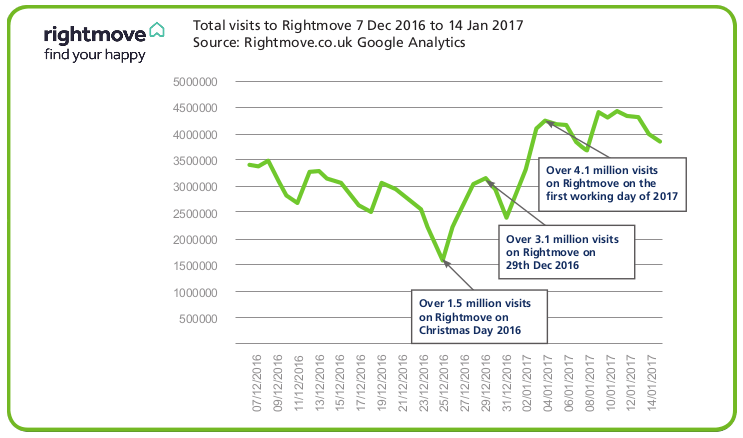 The UK’s largest property portals (Rightmove and Zoopla) see a massive uplift in visitors to their websites between Christmas Day and the New Year, and with this in mind, we’ve Truuli developed a top plan to make the most out of the seasonal uplift in activeness! but hurry the plan is available for a limited time only! We understand that your home may have been on the market for a little longer than anticipated – so our ‘Festive launch plan’ will help to refresh the marketing giving your home the all-important exposure it needs during this extremely busy time of the year. If you’re an existing customer with ourselves, or another estate agent, we’ll relaunch your home in front of the millions searching. Please get in contact with us so we can start working on your ‘Festive Launch Plan’ to get your home sold for the best possible price.